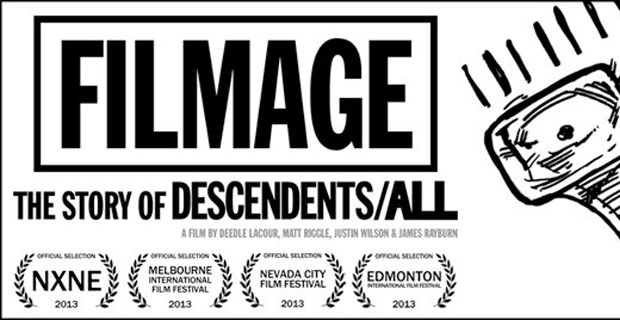 We have written to you a lot in 2013 about the new documentary, Filmage: The Story Of Descendents / All, and in November we’re taking our involvement with the year’s finest movie about music to a whole new level by hosting the film’s Boston Premiere. As for the aforementioned shorts, UTG is proud to present the Boston Premiere of Astro Safari’s band documentary, as well as the first-ever theatrical screening of The Whippies: A Gang Story from PropertyOfZack. Again, this event is one night only, and there is a good chance it will be the only time any of these films screen in the area. Come out for a night of great movies, good music, and a whole lot of fun. Who knows, we may even throw in a giveaway or two!